Ektoplazm’s Greatest Trips features 50 tracks and more than 6 hours of some of the finest music distributed through the Ektoplazm free music portal from 2008 to 2012. Compiled by Basilisk, Ektoplazm’s founder, this retrospective project showcases the immense diversity and creative vitality of the global psychedelic trance, techno, and downtempo movements. Prepare yourself for an unforgettable trip through sound as Ektoplazm’s audio alchemists bend time and space, probe at the membrane between worlds, and explore hypnotic, twisted, and sublime states of mind. Featuring artwork by Jonah K.
Interested in reading more about this project? Check out The Making of Ektoplazm’s Greatest Trips. New to the site? Check out A Beginner’s Guide to Ektoplazm. Note: the FLAC archive is in RAR format. If you need help unpackaging this file please visit the help section. 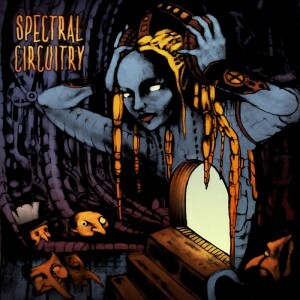 Ektoplazm presents Spectral Circuitry, an eclectic collection of songs compiled by label owner DJ Basilisk. Returning to the spirit and vibe of Organic Circuitry, the first Ektoplazm label compilation, this release is a celebration of the vibrant diversity of the global psychedelic trance underground. On this timeless journey we are joined by many old friends and allies from the early days of Ektoplazm as well as several newcomers, all of whom possess a strong artistic voice and distinctly individual style. 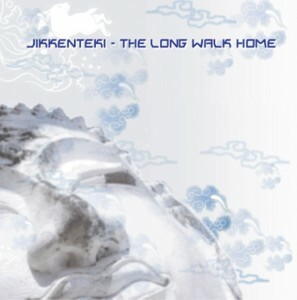 Building steadily from a humble beginning, this release will propel you through many stages of trance before reaching a sublime, enchanting conclusion. Mastered by Jay Kerner (Southwild) with illustrations by Cesar Rodriguez of Neuromantix and digital ink and design by Basilisk. Ektoplazm is proud to present Organic Circuitry, our first official compilation release. Compiled by DJ Basilisk, Organic Circuitry features an eclectic assortment of songs contributed by friends and allies around the world, many of whom have already appeared in the free music section of the Ektoplazm web site. 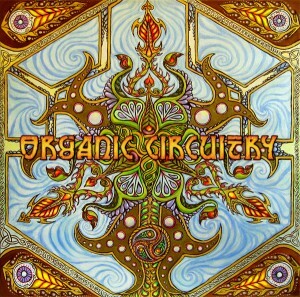 Conceived as a celebration of the vibrant diversity of the global psychedelic trance underground, Organic Circuitry features an exotic blend of new school Goa trance, fat and funky full-on, pumping progressive, and deeply enchanting downtempo. Although differing in their approach, the songs of Organic Circuitry are united in their common emphasis on the power of melody to convey ideas and emotions. Every track shimmers with colour and light–fantastic stories waiting to be told. To ensure a professional level of quality, Organic Circuitry has been mastered by Colin Bennun @ the Stooodio, Bristol, UK, and features cover artwork by Paul Zulauf. Released under a Creative Commons licence for noncommercial usage. You are encouraged to share, copy, broadcast, and perform the music of this compilation! Be sure to check out the rest of the Ektoplazm discography for more high-quality free downloads.